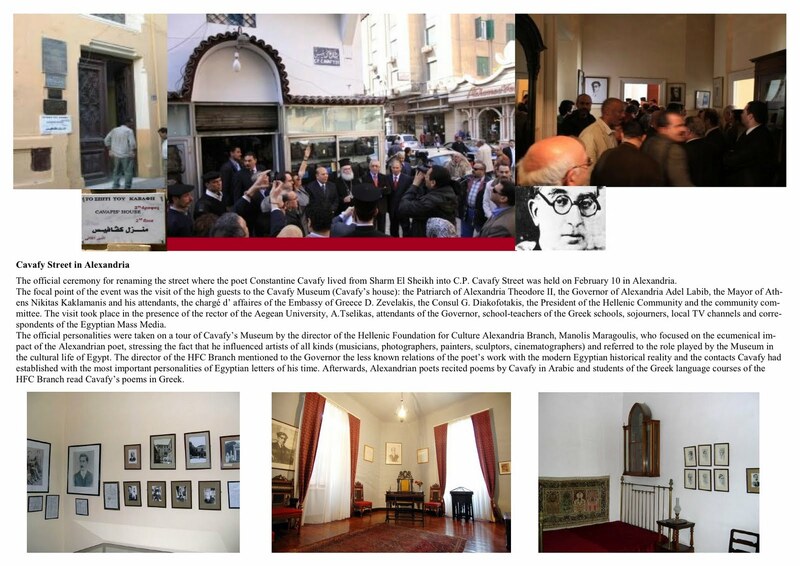 A welcome event in Alexandria has been the dedication of C P Cavafy Street. Constantine Cavafy lived at 10 Rue Lepsius but the address was unhappily changed in 1967 to 4 Sharia Sharm el Sheikh. 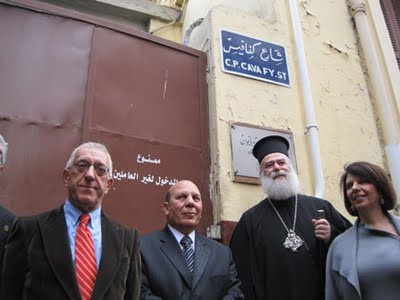 Now this year, on 10 February, Alexandria has renamed the street after its great poet. Click on the spread of photographs and text below for more information.